IN 1972, NAD (originally an acronym for New Acoustic Dimension) set out to create a new kind of audio company. We were a group of audio-industry veterans: manufacturers, retailers, distributors, and – above all – listeners. We were driven by passion for great sound and by the desire to cut through the marketing hype and over-elaboration that had become pervasive in the audio industry. We wanted to provide what people really wanted instead of what they were being sold. The audio industry we entered in 1972 had been created by its own customers back in the 1950s. People who wanted something better than mass-market radios and phonographs had searched out public-address equipment and put the cumbersome pieces of it together as best they could. And some of them went into business to make what they were not finding. By the time the "Rock Revolution" of the 1960s occurred, the interest in good equipment had become so obvious that the major players in the electronics industry had moved in to harvest the business that the audio pioneers had created. They brought a lot of expense, complexity, and hyperbole with them. The marketing of audio equipment took on so much "sizzle" that the steak became increasingly hard to find and enjoy. We wanted to get back to the point — to the reality behind the knobs and the increasingly expensive faceplates. And we are still doing that today with every piece of equipment we design. The real point of all audio equipment for the home is obviously enjoyment — of lifelike, involving sound from music and movies. Some of the fun in buying audio components is deciding (and swapping views on) just how lifelike their sound really is. We take as much pleasure in that as anybody else, but we never lose sight of the central aim of enjoyment. And the three qualities we feel are central to creating it are performance, value, and simplicity. All NAD products at Solid State Audio come with full factory warranty. 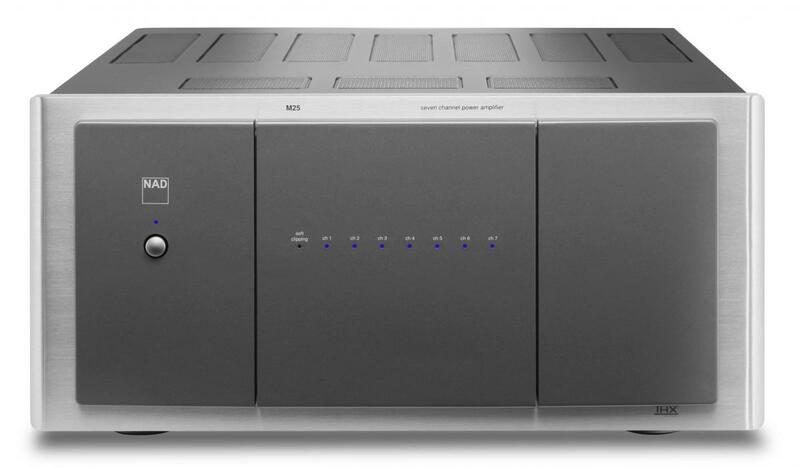 NAD from dedicated specialist Solid State Audio.